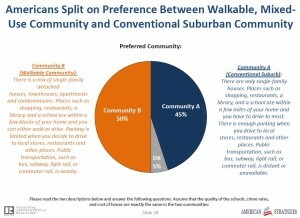 Do you prefer a walkable mixed-use or big lot suburban community? One of the things I was surprised to see is the breakdown between a walkable, mixed-use community and a conventional suburban one to be very balanced. Anyway, you should check out the slideshow…good stuff. From Everything Real Estate with Jenn, post Do you prefer a walkable mixed-use or big lot suburban community? My Very Own Portable WI-FI Hotspot! My PalmPre Hot Spot saves the day! I went to a listing appointment in Mason, NH wanting to show my client some comparable listings she may be interested in. My client only has a dial-up connection. 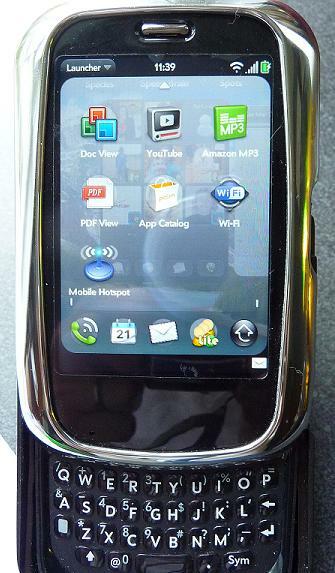 Being a tech goddess I took my laptop, my 19″ flat-screen monitor, and my PalmPre Plus cell phone. Mind you, deciding to bring all these things was a last minute thing, but easy enough to pack. My mobile hotspot on the Pre is one of the BEST tools I have. I logged onto the hotspot and wa-la…WI-FI hotspot, for up to 5 computers, at my clients ho me. She enjoyed looking at all the listings….and on a large screen. Just imagine the possibilities with your own wi-fi hotspot and a laptop. I will be using these tools for both my work as a Realtor and Appraiser. From Everything Real Estate with Jenn, post My Very Own Portable WI-FI Hotspot! Sorry…delay in posting due to busy real estate market. Once a week is turning into once a month…yikes! Well I now have my real estate license. I will be working with Brin Realty Group in Amherst, NH in addition to appraising. Previous clients of mine who do rehab projects wanted my help in listing their properties. Another adventure for me! The market has been nuts as most are aware (those who are not aware don’t pay attention and don’t read blogs either). I, like most others, am waiting for the election to see how the housing market will fare. Everything is too uncertain now. The bailout, the economy, the election…man what an exciting year! From Everything Real Estate with Jenn, post Sorry…delay in posting due to busy real estate market. Boat ride in the Bahamas with my little love Parker. From Everything Real Estate with Jenn, post Hello world!